The Seiler Titanium frames are a lightweight option that are perfect for users with prescription glasses. 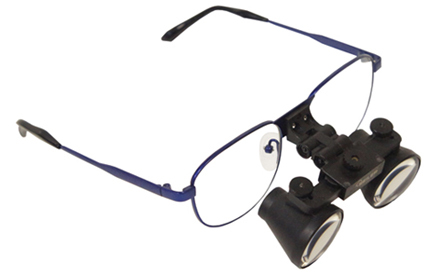 The Titanium Frames come with 3 different magnification options: 2.5x, 3.0x, and 3.5x and 4 colors to choose from- Blue, Black, Silver, and Red. Add your prescription to these frames and enoy the enhanced abilities of better sight.